As a former loyal client, Stephanie came to join The Med Spot in June 2018 and quickly transitioned to becoming a valuable part of our healthcare team. 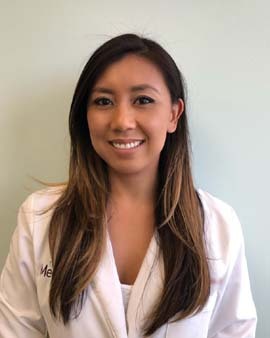 Under the mentorship of Dr Reyes and extensive training courses, Stephanie has quickly become an expert with our wide range of lasers, utilizing her knowledge to customize all types of treatments. In addition to being hands on throughout all aspects of clinical and cosmetic care here at The Med Spot, Stephanie also specializes in injectables and hormone replacement therapy, making her a valuable asset to us and her clients. Stephanie earned her Bachelor’s of Science in nursing from San Diego State University in 2009. She has practiced emergency medicine for over 9 years. She is currently active in the Emergency Nurses Association and maintains her certification in this subject. After living in San Diego for over 10 years, Stephanie took the opportunity to practice as a travel emergency room nurse in the Bay Area and Seattle Washington for one year before moving back to Los Angeles. After moving back, she decided to branch out and broaden her medical knowledge with the addition of cosmetic procedures which brought her to us at The Med Spot. Stephanie is a Southern California native and grew up in San Fernando Valley. She enjoys running, volleyball and yoga. Her fun, caring nature is apparent to all who meet her, and we are extremely lucky to have her on board.